Hi. Thank you for visiting my page. My name is Wendy and I am a Yoga Alliance UK Senior Yoga Teacher. For more information about my qualifications, please see About Wendy. My classes are fun and a bit wild! Hahahaha...a bit like me. I am always being accused of not being traditional. I don't really mind. I like to have fun and to challenge my students. I don't believe in doing the same thing over and over. Most of my classes are in the flow style, some slow and some faster. I believe that we need to move as many joints in as many ways as possible to keep our body healthy and supple. We should move in different ways, at different speed and intensity to keep our connective tissues happy too. Come and move your body, breathe deeply and calm your mind with me. Most of all, come and have fun! Life is too short to be serious! I have lots of exciting events coming up for you. Have a look below for a quick list. 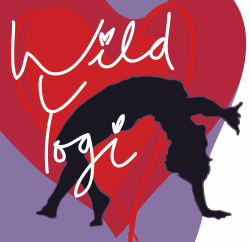 Hi yogis, I've been a bit rubbish at updating this page! Very focused on our studio, FlowMotion.Life lately. However, here I am. Hope you are all enjoying 2019 so far. I wish you the courage to make this the best year of your life so far. Back Pain Article: Two young ladies from Upstate New York, Emma and Olivia, was doing a bit of research into the benefits of yoga and came across this article. They have asked if I could have a look and share it here so here it is. The poses suggested in the article can be beneficial in relieving back pain but remember each body is different. If you want to follow the tutorial videos in the article, please do practise with mindfulness and honour your body. Most of the pose are pretty safe to do but some might be a little strong if you have a weak lower back or very tight hips. Please do feel free to get in touch with me if you would like alternative poses or come to my classes and learn to progress towards them with care. Thank you, Emma and Olivia, for the link. Hope you enjoy your yoga practice. Workshops: I don't actually have a workshop planned for the near future but there are lots of fabulous teachers coming to @FlowMotion.Life over the next few months to share their passion for yoga and movement with us. Please click here for more details. Timetable: I teach all my group classes in Matlock at FlowMotion.Life, Unit 4, Olde English Road, DE4 3RR. Please have a look at my timetable and contact me for more info or to book your place. Have a fabulous February and see you in class soon. Thank you.